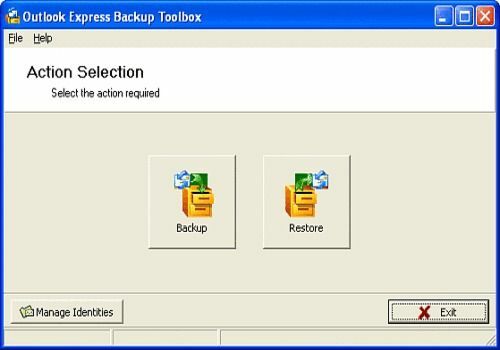 Outlook Express Backup Toolbox quickly makes a full backup of Outlook Express mailbox. It is done in literally several mouse clicks. It works with any version of this email client, try this utility if you'd like to keep your mailbox in safety. There are two available modes for Outlook Express restore, for beginners and more experienced users: Simple and Advanced. By default, all additional settings are turned on, this tool saves everything.